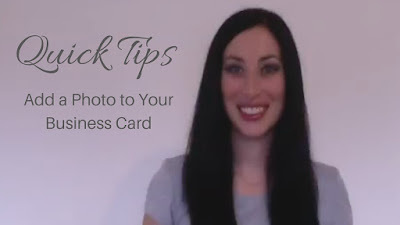 This weeks "Quick Tip" is to add a photo to your business card. Think about it, you give out your business card during events. Hopefully you'll have had the chance to exchange a few words with the person you're giving it to. This has probably happened to them a hundred times over throughout the event with others giving them their business cards too. Now fast forward to day, week, or month, later. What are the chances of them remembering your name? Chances are slim. They go through the pile of business cards they collected and find yours. They remember you because your photo is on the card. That's right, they remember your face. Much more likely than just your name. 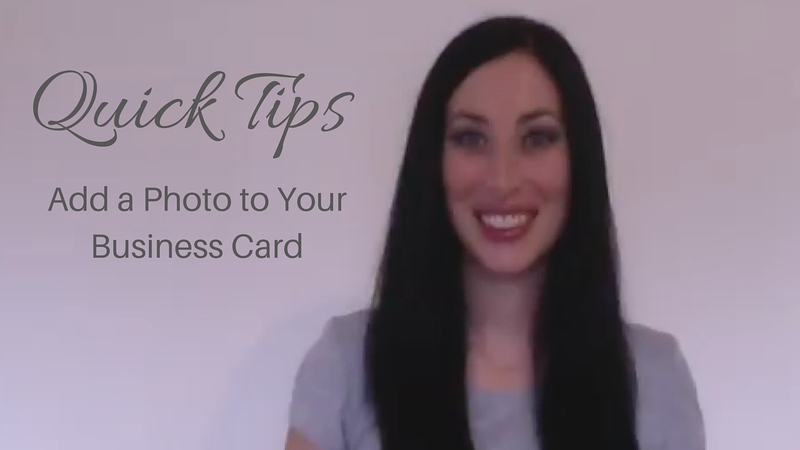 Do you have your photo on your business card? OMG what a brilliant Idea, Seriously i never thought to do that. I use the Logo rather than the Image. I actually never remember the faces to the names myself ad I scratch my head thinking who is thins & they probably think the same when I call them :) Thanks Jo for this super tip! Glad you like it Julie :) I'm terrible with names, always have been, faces however I tend to remember. Just made sense to me to use both on my business cards. Really makes a difference. This is a great advice! It won't work for anybody, though, I think. I make jewelry and I prefer people to remember what I make rather than remember my face, so I have one of my signature pieces as a picture on my business card. Thanks for taking the time to comment Natalia. In your case highlighting a signature piece of your jewellery makes sense. If it's a very unique piece it could have the same effect in helping jog the persons mind into remembering you. For people in my line of work, having their face on their business card can be a big game changer. Brilliant idea! Many corporations do this but very few small business owners. I have to admit that I have a very hard time remembering names but am great at remembering their stories. Having a picture to link with the story would help me tremendously. Great idea. When I do my next round of cards, it is what I will do. Connecting a name with a face is how my brain works, so doing it for others is kind to them and helpful to my business being connected to me. Thank you!